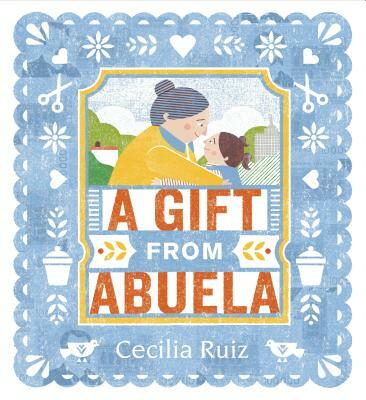 In her first book for children, Cecilia Ruiz illuminates how things can change — and the importance of holding on to our dearest relationships when they do. The first time Abuela holds Nina, her heart overflows with tenderness. And as Nina grows up, she and Abuela spend plenty of time together. Abuela can’t help thinking how much she’d like to give Nina a very special treat, so she saves a little bit of her money every week — a few pesos here, a few pesos there. When the world turns upside down, Abuela’s dream of a surprise for Nina seems impossible. Luckily, time spent together — and the love Abuela and Nina have for each other — could turn out to be the very best gift of all. With a soft and subtle hand, author-illustrator Cecilia Ruiz draws from her own history to share a deeply personal tale about remembering what’s most important when life starts to get in the way. Cecilia Ruiz is an illustrator and graphic designer with an MFA in illustration from the School of Visual Arts in New York City. She is the author-illustrator of The Book of Memory Gaps. Born in Mexico City, Cecilia Ruiz now lives in New York City. The story traces how time shifts family situations, and—a point not commonly taken up in picture books—the way people’s economic circumstances can change in ways they can’t plan for or control. But Ruiz’s most important message is that love survives no matter what. Beautiful and soft pastel colored illustrations decorate every page and bring the papel picado and the homes and neighborhoods to life. Filled with lovely illustrations and the all-too-true message that “sometimes life just gets in the way,” this story seems to be going in different directions, and ultimately ends abruptly and leaves readers yearning for a little bit more.